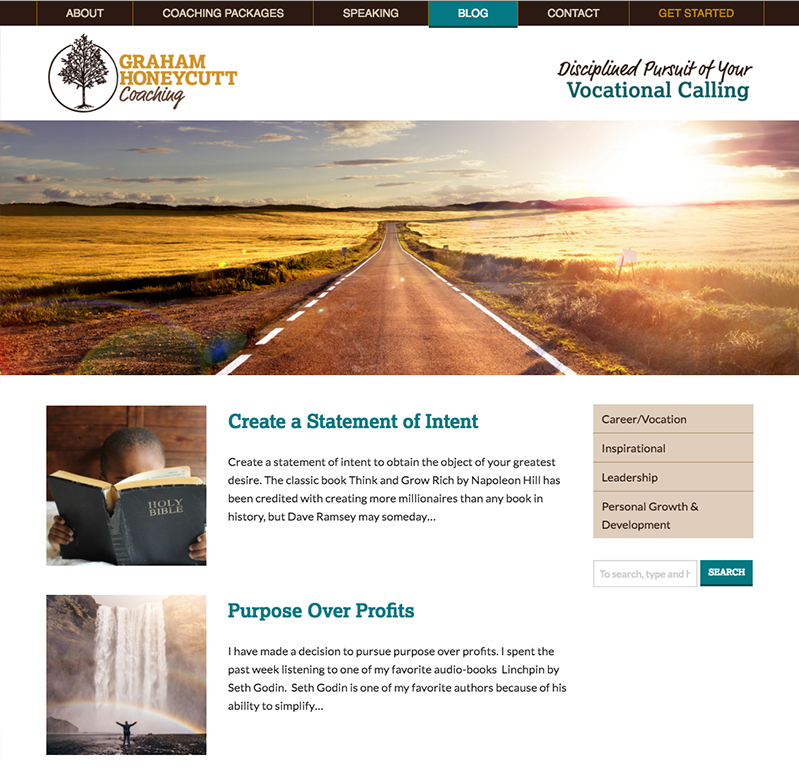 After finding his vocational calling, Graham Honeycutt wants to help others do the same. He partnered with Landslide Creative to devise a marketing strategy for his career coaching business, build his brand identity, and launch his website. As a child, Graham wrote a poem about a chestnut tree at his grandfather's house, and a family member made an original illustration to accompany it. Because of the significance in his family, Graham knew immediately he wanted his logo to incorporate the tree. We created an iconic logo based around the tree imagery, with multiple versions to fit different uses. Graham wanted his brand to be masculine and sophisticated, yet friendly and approachable. The earthy browns and neutral ivory are a solid foundation for the warm, refined golds and fresh blue-greens. The slab serif font is sturdy and reliable, while a familiar sans serif is easy on the eyes. Graham’s marketing strategy is largely content-driven, making the blog a key element of his website. 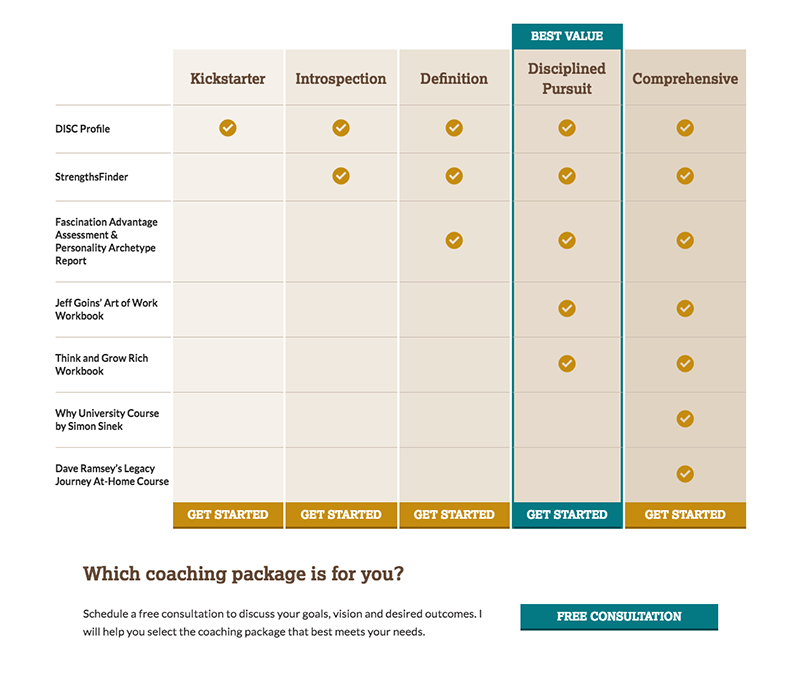 We integrated a pricing table to help users easily compare coaching packages at a glance. 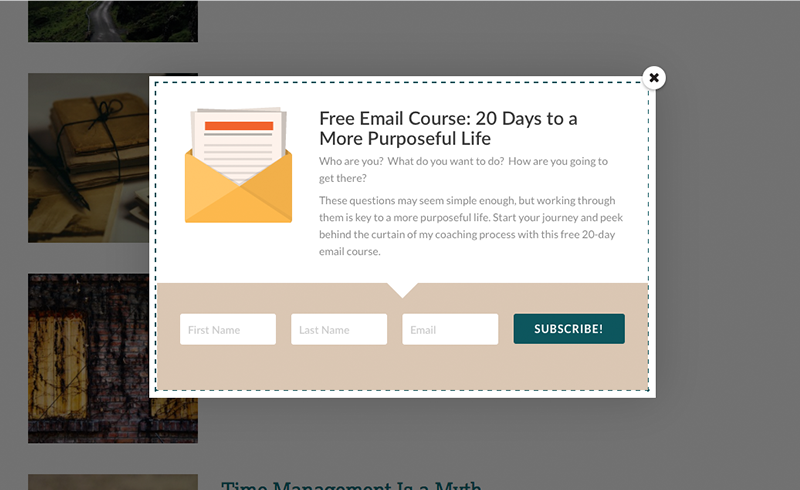 Calls to action are placed strategically throughout the site to prompt users to take the next step. Want to know more about this project or talk about how we can partner on your website design or marketing project? Get in touch at info@landslidecreative.com.